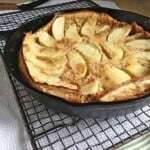 Gluten-Free Apple Cider Doughnut Pancakes or Cravings are the Mother of Invention! Lately I’ve been craving an apple cider doughnut but, honestly, I’ve been too busy to fry a gluten-free batch. Then last weekend, right before making a batch of pancakes, a culinary “a ha” moment stuck. 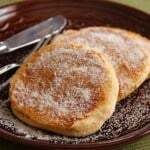 Why not make apple cider doughnut pancakes? Adapting the pancake recipe was so simple that I can’t believe I never thought of this before. I just used apple cider in place of milk, added cinnamon and nutmeg, and coated the finished pancakes with cinnamon-sugar (some melted butter helped the cinnamon-sugar stick). The result? AMAZING! Sure, they aren’t doughnuts but they’re some of the fluffiest pancakes you’ll eat, and the faint apple taste was enough to satisfy my cider doughnut craving. Until I have time to make the doughnuts. Dairy: The pancake recipe is dairy-free. 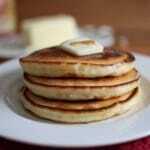 However, I use butter on the finished pancakes to help the cinnamon-sugar mixture stick to the pancakes. If you are dairy-free, use a dairy-free margarine or spread to replace the butter. Eggs: To replace the eggs, add 3 tablespoons ground flax meal to the dry ingredients and increase the cider to 1 1/4 cups. If the batter seems too thick, add an additional 1/4 cup of cider. In a medium bowl, whisk together white rice flour, sweet rice flour, cornstarch, baking powder, ground cinnamon, salt, xanthan gum, and ground nutmeg. Add eggs, cider, vegetable oil, and vanilla extract ingredients. Pour the wet ingredients over the dry ingredients and whisk until smooth. Lightly oil a flat griddle pan. Heat griddle over medium-high heat. Pour batter, approximately 1/4 cup, onto griddle. Batter should "sizzle" when it hits the pan. Flip pancakes when bubbles appear all over the surface of the pancake and begin to pop, about two minutes. (The batter should look almost dry). Cook another 1-1 1/2 minutes. 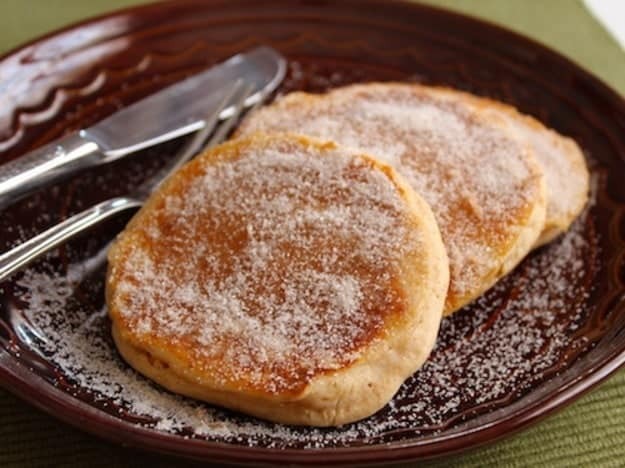 Spread warm pancakes with butter and sprinkle generously with cinnamon-sugar mixture. apple cider? or apple cider vinegar? These are absolutely amazing! So easy to make, simple ingredients already in my pantry, and they surpass any apple cider doughnuts I have made in the seven years I have been gluten-free. I am so grateful for your website. I only came across it a few months ago and got hooked after baking your millet sandwich bread, which is also a winner. One can definitely tell you are a professionally trained baker by the results of your recipes. Thanks so much!